Not getting the results you want from a workout can be extremely frustrating. It can lead to a serious lack of motivation and cause you to overlook your current accomplishments. Cardio can be particularly tricky to figure out, and there are many reasons why you may not be seeing the results you want. While you may feel frustrated and confused now, don’t give up! Doing a little research can go a long way, and hopefully these few points will help clear up your confusion. Once again, too much of a good thing isn’t a good thing. Balance is important in every aspect of life, and this applies to exercise as well. Doing long daily cardio sessions may sound like a good idea but it truly isn’t. In fact, you may be cannibalizing your muscles by doing too much cardio. By only doing cardio and overlooking strength workouts, you sacrifice denser high calorie burning muscle. Depleting your muscle mass is something you want to avoid at all costs, for muscle helps burns fat. 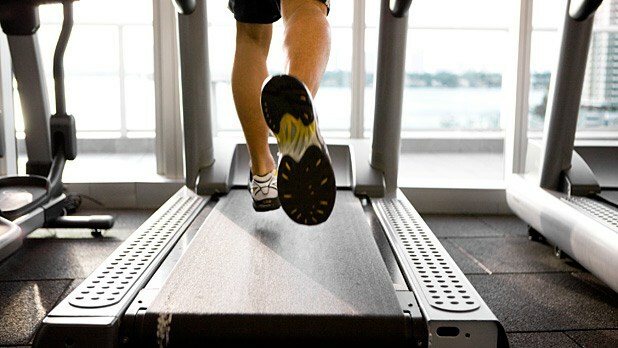 You may also be pushing yourself too hard when it comes to cardio, which can reduce the overall amount of fat you burn. In order to avoid this scenario, try including some resistance training in addition to your cardio routine. The more muscle you have, the more fat you burn when you are resting; plain and simple. While you shouldn’t be overdoing it when it comes to cardio, you shouldn’t completely sacrifice the intensity of your workout either. Knowing the difference between too much and not enough can be difficult to understand. It is important to remember that each person is different, and the amount of exercise you should do to get the best results may be different from the amount someone else should do. However, there are a few tips and tricks that can help point you in the right direction. Breathing: Heavy breathing is a good indicator that the intensity of your workout is where it should be. When your body is working hard, your breathing gets heavier. Taking a leisurely walk around your neighborhood isn’t going to increase your breathing by much and probably isn’t the best way to burn calories. If your breathing is light, bump up the intensity of your workout a bit. Heart Rate: The next thing you should pay attention to is your heart rate. Generally speaking, the higher your heart rate is during your workout, the more intense the exercise is. While you don’t want to push yourself too hard, your heart rate should definitely be higher than it is when you are just warming up. Proper nutrition is extremely important when exercising, and having poor diet habits could be one of the reasons why you aren’t seeing results. You could workout every day and burn tons of calories, but if your body isn’t receiving proper nutrients it could all go to waste. While you won’t be able to completely turn around your eating habits overnight, making little changes each day is more than enough. Implementing a balanced diet filled with vegetables, fruits, protein, and fats can help optimize your workout experience. For cardio, having a good meal that is high in carbohydrates before your workout is a good idea. The carbohydrates will give you the energy that you need in order to power through an intense workout. Eating a small snack before you start your cardio workout is also recommended in order to boost your blood sugar levels. While having good workout habits is great, having good nutritional habits is just as important. Try making little changes each day to your current diet if you know it is lacking the proper nutrients. While this may sound like a no-brainier, it is a step that is often overlooked. Proper hydration is critical when it comes to cardio and any exercise for that matter. When you are dehydrated, you fatigue much faster. When you feel fatigued, your workout will feel ten times tougher than it actually is. You most likely won’t have the energy to complete your cardio workout if you are dehydrated, which can greatly effect your results. In order to make your cardio experience more enjoyable and effective, stay hydrated. While not seeing results after you’ve worked hard can be frustrating, it is important not to give up. Instead, do some research and see if you can find the root of the problem. Sometimes its as straightforward as improper nutrition or lack of intensity. If you are interested in learning how to live a healthier lifestyle, contact us at AboveFit Training and schedule a strategy call with one of our coaches. We have helped many realize their fitness goals through a personalized holistic approach to fitness. Do Women Bulk Up from Weight Lifting? Success - you've been added to our mailing list!